When it comes to personalized craft ideas, it’s hard to beat projects like monogrammed quilts for a grandchild, godchild, or a new baby in the family. How about making towels for summer camp, birthday gifts and anniversary dates? 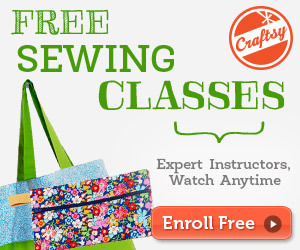 All of these can be done with the right sewing machine that is beginner friendly. Let’s compare a few sewing machines to get an idea in what they can do and how much diversity they offer to find the best sewing machine available today. Best Monogram Sewing Machines: Our Faves! Based on thousands of reviews from customers and users from some of the best selling combination sewing-monogramming and embroidery, we have come up with a good balance of models. We selected those that are neither too simple, so you will not outgrow the machine too quickly, nor too complicated, which sometimes creates frustration and confusion for the newbie sewist, and could cause you to lose interest before you find success in your craft. The two best selling and highly regarded machines in this article are representative of best quality function and flexibility of settings for various creative projects. The first model we evaluated has an amazing 546 customer reviews and 346 answered questions, this is an added value for beginners because there is available support for your questions and concerns. The Brother XR9500 PRW Limited Edition Project Runway Sewing Machine may be the best bang for your buck that Brother has to offer and it is not short on added value features. This model comes with a built-in sewing font for basic monograms. It has 100 built-in stitches and a quilting table. The stylistic stitches include heirloom designs and decorative features including multiple stitch functions. The table is oversized and wide enough to accommodate quilting and larger projects. Other decorative stitching features include a zigzag adjustments that allow for up to 7mm super width, zigzag designs. There is also storage within the sewing machine to hold accessories like extra feet, color bobbins and needles to keep everything organized. Additional specs you will love! Beginners will love itbecause it has the type of diversity to be used on many fabrics, from denim to sweater materials, in varying thicknesses. Customers who have been using this model for a year or longer have reported that the preferred features on this model are equal to or better than more expensive advanced models. 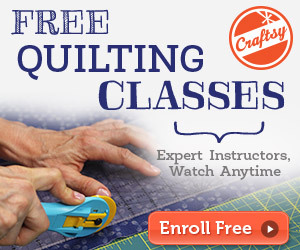 For example the exquisite satin and blanket stitching that you can accomplish for applique’ quilting. Beginners also like that the automated bobbin threader helps you to skip the complicated bobbin threading steps you’d face on other machines. Also, on this model, all the threading directions are right on the machine for you to check every time. Many features on the XR9500 Limited Edition model serve to create an easier learning process that moves a novice along to sewing right away. Some previous owners say that this model has all the features comparable to a $1,000.00 advanced commercial machines, with easier to understand settings. The package includes everything needed for most all projects plus and easy to follow video DVD to illustrate start-up techniques. Anything you may decide to purchase in additional accessories is very affordable. If your focus is on quilting, embroidering and making personalized letter monograms, the Brother SE400 Computerized Sewing Embroidery Machine is capable of creating just about anything you can imagine. This has a lot to do with the computerized functions added to this model. Brother SE400 combines the simplicity of the Brother XR9500, with the expandability of computer updates, and downloads for an unending resource of designs, fonts and pattern combinations. Imagine what a fabric block of 4″ X 4″ in size looks like. This model comes with a monogram-embroidery frame that can handle designs of up to 4″ X 4″ inches. This is more than large enough for most designs and initials. If you are working on longer names, or, for example, embroider entire t-shirt fronts, you have the option to purchase larger hoop frames on Amazon. Starting off with the basic features of the Brother SE 400 that come built in to this model includes 67 different stitches, 70 designs, and 5 lettering formats, that can be altered by the different settings for monogramming and embroidery. There are also many combinations of settings for zigzag, quilting, even for sewing on buttons that can customize a craft project with this model. From the research we have seen, users enjoy the features already included with this unit and consider it a good investment at its price. For most beginners who want to make towels, handkerchiefs, clothing or pillow cases, etc., the hoop frame that comes with the SE 400 unit is fine. At this level of price, a novice seamstress will be challenged with endless new projects and custom settings. The added features of the SE400 includes the USB cable hookup to your computer that allows downloads of all kinds of digital templates and designs from various craft and sewing websites. In addition, when Brother releases new upgrades for your machine, you can directly connect your sewing machine to the Brother’s website to download new features. This is one of the best features for me because the more you use it, you will be less likely to outgrow it. This model has the same easy-to-view, back-lit LED touch screen, where you will find the selector for all the stitches, designs and lettering fonts. Many users who are accomplished “monographers”, and embroiderers who have years of experience on the old school metal monogram sewing machines have express great delight with both of these models in their ability to accomplish high-end quality designs and the LED screen being easy on the eyes. To summarize, you can select any model that you want based on the scope of projects you want to master. Depending on how involved you want to be in creative projects, you must consider the size of your projects, your budget, and how much skill you plan on developing. Personally I think that these two models are the best home embroidery sewing machines for the money not to forget that professional models will range all the way up to $10,000.00 dollars. Once you have the basics down and establish if this is a favorite hobby or if you want to make this into a paying business, you can further decide to upgrade your machine. The point is that you can go pretty far with developing some beautifully crafted projects, without making a high cost investment. The Laura Ashley is a special limited edition with pink floral designs on the machine. The CX 155 LA comes with an included package of free customer phone and online technical support service for the life of the product. The Laura Ashley model was designed for easy threading of top bobbin and needle threading, with high-quality stitching. Select your stitch and it will light up on the LCD Screen. Laura Ashley Special Edition Computerized Monogramming Sewing Machine users say the best feature of the CX 155 LA model is the extra wide table work space because it is great to sew and embroider window curtains, quilts, and other large sized projects. Crafters who already own this machine have written reviews and explain that this model can create Christmas decoration embroidery designs, many stitches can be combined to make heirloom quality design stitchery, and lots of crafts and embroidery is possible without spending over $1,000 for a professional monogramming machine. My friends were able to make matching pillow cases, bedspreads, curtains and window treatments, throw pillows for any room or theme, sets of napkins, placemats and table-runners, family towel gift sets, embroidered beach towels for camp, embroidered ankle socks and knee socks, Christening gowns, baby clothes, baby quilts and delicate lingerie. Favorite details of this models, reviewers say the stitches are even, sewing is very straight, and fabric never bunches or gets caught up in the foot. Before making your final decision on which machine to buy consider first your needs and read the customer reviews on various websites. The evaluations and observations of users who have been working with the model for more than just a couple of months have the best insights as to the benefits and possible shortcomings of each model. Remember to keep in mind the differences between models and the much more expensive commercial ones. They will have more features and capabilities, but you have to weigh your purposes, and level of use, against that additional expense. The FAQ section, or Q & A section of your brand and model should list comments from actual users. Good product support is demonstrated by how often users’ questions are answered. This is a good tool for gauging the level of support that customers are still receiving for the model you are looking into. After examining the machines in this article and spending a chunk amount of our time reading reviews, we picked our winner- the Brother XR9500PRW. It is our #1 choice for quality, function and savings. Please bear in mind that this is just my personal opinion and that the only way to know which is the perfect model to suit your crafting needs is to examine the pros and cons of each machine and consider your expectations and needs. Which ever one you choose, they each have many high-quality features to help you create lovely monogrammed quilts and personalized hand made gifts for your family and friends. Bring it on!